The focus of the Beaudesert curriculum is the building of firm academic foundations and the encouragement of intellectual curiosity. 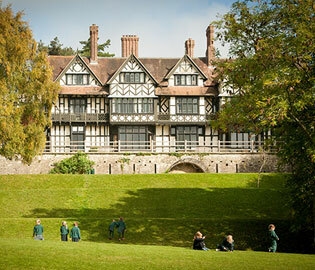 We prepare pupils to take Common Entrance and scholarships to a wide range of Independent Schools. 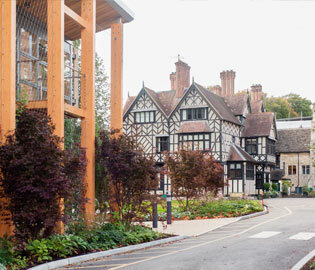 We have a very successful track record of sending pupils to the top Senior Schools in the country. At Beaudesert we are committed to developing and celebrating the individual strengths of each child, actively encouraging them in a secure and happy environment to fulfil their potential and to achieve a high standard of education. The form tutor maintains an overview of the academic progress of pupils in their form. Our aspiration is that each child will leave us as confident, self-sufficient, enthusiastic and imbued with a joy of learning. Beaudesert pupils receive education from nursery age, from which they progress into the Pre-prep, then the Prep through to Year 8. The curriculum is broad, going well beyond the confines of the National Curriculum. 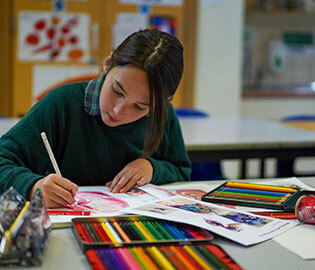 Timetabled subjects are complemented by plenty of enrichment workshops which take place throughout the year including, STEAM projects, study skills workshops, author visits, poetry competitions to name just a few. We also provide a dedicated weekly lesson to help children develop the key skills required to move on successfully to Senior Schools. These include problem solving, reasoning, public speaking, current affairs and team challenges. Pupils are taught by subject specialists after Year 4 and class sizes are small, typically 14 – 18. Beaudesert caters for a wide range of abilities and welcomes pupils who are able to access all areas of the curriculum. 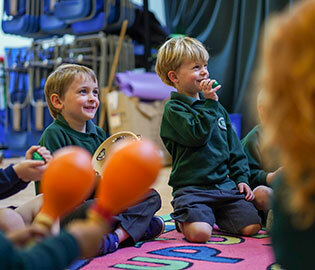 Alongside the core subjects of English, Maths, Science, French, Latin, Spanish, Geography, History, Religious Studies and Ethics, pupils also study Music, Design & Technology, Computing, Art, Physical Education, Drama, Dance, Personal & Social Education and Pottery. 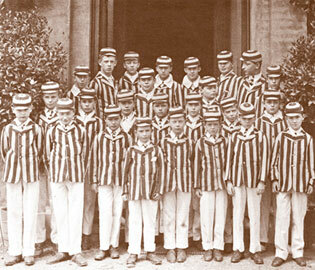 Pupils are set to enable children to give their best and allow them to be taught in groups that most suit their needs. This commences with Maths in Year 4, and with English and French in Year 5. Latin and Spanish is introduced in Year 6 and these are studied by the majority of pupils. There is the opportunity to learn Greek off the timetable. For children who woudl benefit from a greater focus on core subjects in preparation for Common Entrance examinations, there are additional lessons in English and Humanities, which replace Latin. I.C.T. is used throughout the curriculum in all subjects from Pre-prep up to Year 8. Every classroom is equipped with Interactive Whiteboards, and visualisers and iPads are a frequent adjunct to lessons. Beaudesert has a Learning Support Department which assesses pupils, monitors their progression and provides both individual and in-class support to help all of our children to achieve their best. 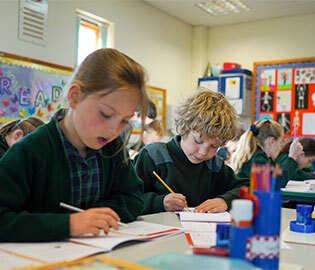 The school also nurtures pupils who show themselves to be exceptionally gifted, particularly with respect to preparing gifted pupils for scholarships in academic subjects, Music, Drama, Design & Technology, Art and Sport. Assessment is regular and each pupil’s progress is monitored carefully to ensure that they are fulfilling and developing their potential. Pupils’ work is assessed regularly through a system of frequent effort grades and short reports with a full report made at the end of every term. Exams occur in November for Years 6 – 8 and in the Summer for Years 5 – 8, with the addition of mock Common Entrance exams for Year 8 in March. Although Beaudesert is largely a day school, it has a strong and flourishing boarding community whose aim is to provide a safe and exciting environment for flexi-boarders and weekly boarders alike. The academic side of Beaudesert life is balanced by a full programme of sporting, artistic and cultural activities which are woven into the school week. In this way the curriculum helps children to become well-rounded individuals. "The pupils' attainment and progress are excellent." "Pupils show extremely positive attitudes towards learning and are proud of their achievements." "Pupils demonstrate highly accomplished study skills."